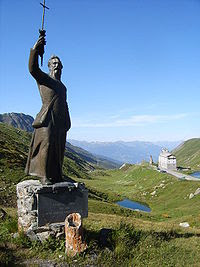 Thanks to a tweep from Ship of Fools I discovered that today 28 May some people commemorate Bernard of Menthon, 'patron saint of skiers' (among many other patronages attributed to this 10th century Swiss saint. Ship of Fools suggests celebrating the day by 'going quietly off piste'. That seems like a good idea. I need time to go quietly off-piste and I am on 'sabbatical'. Off-piste today will have to be the garden - the weeds are calling me. My other half and I will be hiking - gently - and watching the summer skiers on the Stubai glacier now that our ski-ing days are over. Meanwhile, weeds watch out - here I come! A few weeks ago I stood in spring sunshine looking at this door of an old stone dovecote in Monks Risborough. As you see it was padlocked shut. I was mildly disappointed not to be able to look inside. I was taking part in a Quiet Day for Vocations Advisers - mostly a day of silence when we were free to just sit or wander about the neighbourhood. I wandered and stood and stared and noticed things. As I studied this closed door I found myself thinking about someone who felt a door had been slammed in their face. I remembered similar experiences that I'd been through in the past. One was really painful to deal with because I had pinned so much hope in the expectation that a door would open. It didn't. With the hindsight of many years I'm grateful, but at the time it was agony. For Pentecost Sunday (23 May this year) here's an image of an oil painting that excites me and says more to me about the Christian celebration of Pentecost ('Whit Sunday') than words can. If you want some words about the 1st Christians' experience at Pentectost, then read Acts 2: 1-21. We light a candleand enjoy the flickering lightthe fragranceand warmth it creates.But without the spark that ignitesthere will be no flameWithout the waxthe source of powerthe wick will not burnWithout the flamethere will be no fragranceno warmth, no light.And so with us, LordYou are the catalyst that ignites usand the fuel that sustains usYou fill us with your fragranceas you enter our livesYou empower usto carry your flame in our heartsTo be the fragrance,warmth and light of your lovein this dark world. I don't like stinging nettles. No childhood walk or picnic was ever free from that painful brush of its leaves across bare legs and the frantic search for a dock leaf to rub on the skin, in the forlorn hope of 'making it better'. 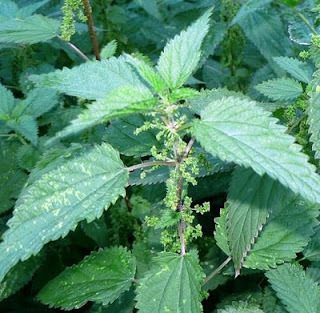 Many of my adult gardening hours have been expended in trying to eradicate stinging nettles from our garden. Yes I know nettles are valuable useful plants. My father taught me that nettles picked young make good soup. I believed him. He never demonstrated this truth, though he did advise how to pick them. Supposedly, if you grasp them firmly you don't get stung. I tried this. I got stung - clearly there's something lacking in my technique. At the beginning of May every year I kid myself that this year I will gather young nettle leaves and cook with them. I never do. I heave a sigh of relief at the end of May each year because then the leaves will be too mature and not so suitable, so I can make do with spinach. It could be some people's worst nightmare to spend 48 hours in residence with about 100 preachers. That's what my other half and I returned from in time to vote yesterday evening. It wasn't a nightmare and strangely enough only 2 sermons were preached within the 14 conference sessions. The event was the national conference of the College of Preachers and the subject was 'Breaking News'. There was an impressive line up of speakers including the Head of Newsgathering at the BBC (the day before the UK election!) 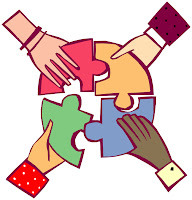 All were worth listening to, but there was too much input in too short a time with not enough time to digest anything. The worship sessions were led by a group of shiny new Salvation Army captains without bugles or tambourines but with drums, guitar etc. and some visuals and well planned intercessions using prayer stations that involved all 5 senses. I liked eating the chocolate after tasting the bitter herbs best!